We have all heard of a placebo. That magic little ‘pill’ that contains no medication and usually nothing but sugar and water. Yet, we are told it will cure our ailments so we believe it to be the real deal. We believe it is the miracle drug that we are told it is. It contains absolutely nothing that is actually going to help you overcome your ailments, but overcome them you do! The placebo effect has been proven to work in studies time and time again. You are not fixing your body with this sugar pill, but you are fixing your mind. You are convincing your mind that the pill will make you better – so that is what your mind does. It makes you better. It is your mind and your thoughts that have healed your body. YOUR MIND HAS HEALED YOUR BODY. Again, this has been proven in scientific studies over and over again. Proving that your thoughts can actually cause a physical reaction. What you think about becomes your reality. So now we know that your thoughts can manifest into physical changes, why do people still find it hard to believe in the power of thought and feelings in everyday life? When I say to somebody “think happy, positive thoughts and this is what you will attract into your life”, why can I hear their eyes rolling halfway through the sentence? Why when I suggest that you can manifest a parking space, a loving relationship, a new job, a promotion, financial wealth or even better luck, do people laugh and scoff at that thought? What is the difference between these thoughts becoming reality and the scientifically proven placebo effect in the medical world? Why if your mind can heal your body should it also not be able to attract love into your life? What you think about you attract. Its kind of easy to have positive thoughts throughout the day but you might be wondering why they are not manifesting into positive change,so let me ask you this…..
Do you still have negative thoughts during the day? Because thoughts expanding is not restricted to the positive thoughts. Your negative thoughts also expand!! So if your on your way to work thinking “I hope there isn’t a traffic jam” – the chances are there will be a traffic jam because that is what your are thinking about and manifesting. Instead change your thoughts and feelings. Focus on a clear road, the sun shining, your radio playing your favourite songs all the way to work and you arriving peacefully and early to work. Do you see the difference in how you think? If you think this is a little wacky, just keep trying it. I KNOW this works as it works for me all the time! And if you still doubt me, think back to the scientifically proven placebo tests. When you start to understand just how important your thoughts are to your outcome in life and that your thoughts do actually become your reality, then you suddenly become very careful what you think about. Every night before I go to sleep I meditate on my dream life. I want my subconscious to believe that I am already living my dream life so that I make the daily decisions of that person. It’s very important that I allow my subconscious to marinade over night in all the pleasant, happy and positive thoughts that I think about directly before I go to sleep. 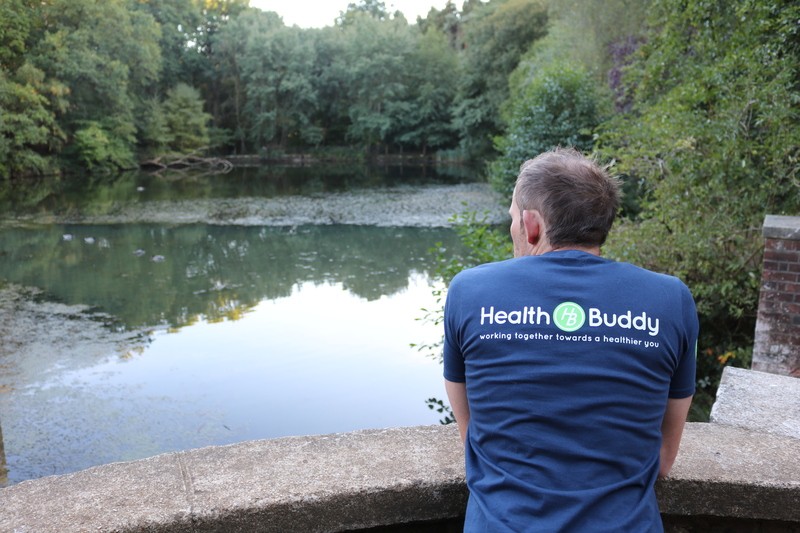 Have Your Taken The Health Buddy 5 Day Challenge?